Details: Shingle pattern and dentils in gable apex; curved brackets with background shingle above second story windows; window trim and ornamentation. 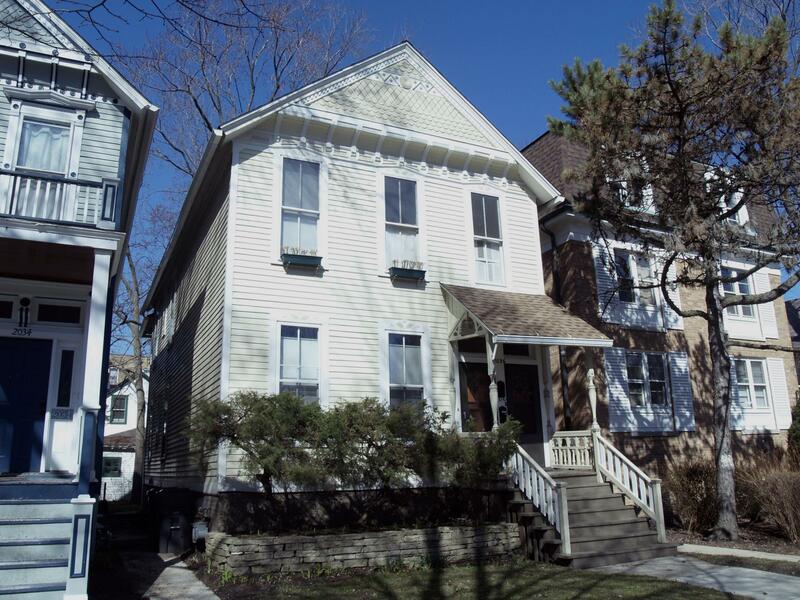 Historic Features: Extended gable over second story, window trim and surrounds; porch entry with sawtooth brackets. 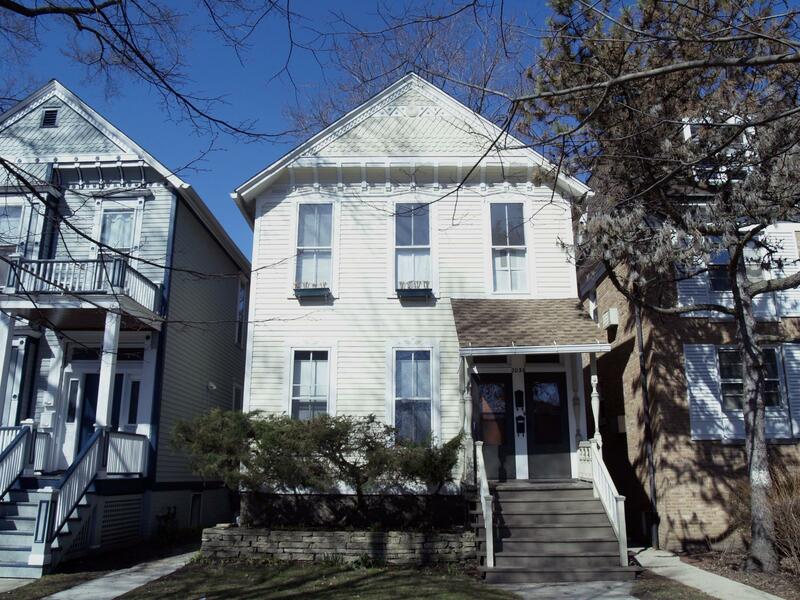 Historic Info: Originally Evanston Bond & Mortgage Co. Granted landmark status on 1982.26.04, Ordinance 33-0-82.